today’s google header and it turns out its about microbiology. Do you know it is Antoni van Leeuwenhoek’s birthday today? Antonie Philips van Leeuwenhoek October 24, 1632 – August 26, 1723 was a Dutch tradesman and scientist. He is commonly known as "the Father of Microbiology", and considered to be the first microbiologist. He is best known for his work on the improvement of the microscope and for his contributions towards the establishment of microbiology. Using his handcrafted microscopes, he was the first to observe and describe microorganisms, which he originally referred to as animalcules (from Latin animalculum = "tiny animal"). Most of the "animalcules" are now referred to as unicellular organisms, though he observed multicellular organisms in pond water. He was also the first to document microscopic observations of muscle fibers, bacteria, spermatozoa, and blood flow in capillaries. Check Antonie out today~!! Janet Wong completed a Graduate Diploma in Applied Science at Queensland University of Technology. She is the Microbiology Co-ordinator at Snap Fresh P/L where they manufacturing frozen meals and supply to the airline inflight catering, defence force, hospitals, allied health care, food services and other catering areas. 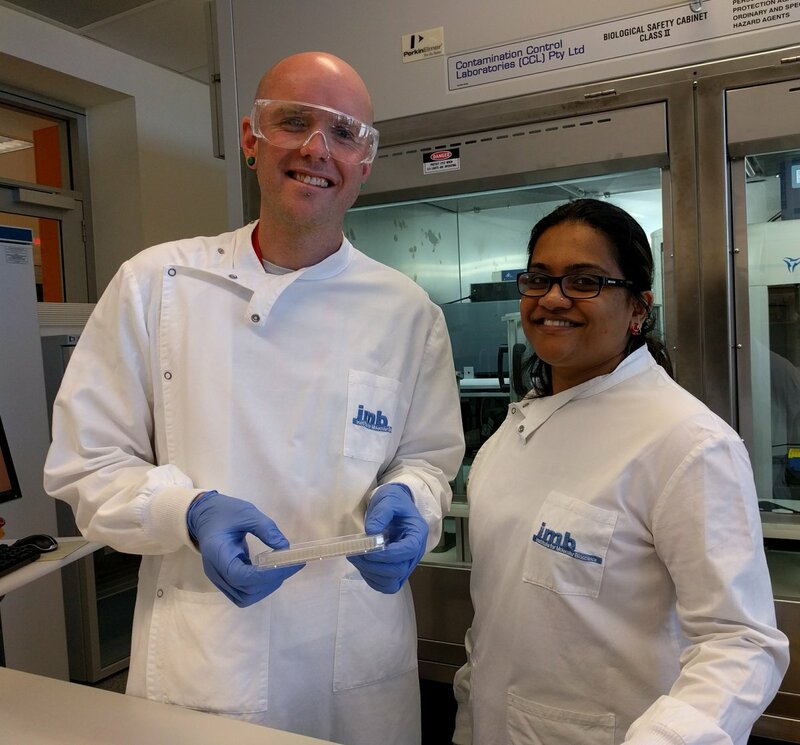 Janin is appointed as Senior Scientist at Admedus Immunotherapies Pty Ltd based at the Translational Research Institute in Brisbane. She studied Biology at the University in Frankfurt (M) in Germany, with an early interest in infectious diseases and immunology. She undertook her PhD studies in Zurich/ Switzerland, investigating immunological mechanisms involved in the autoimmune disease Multiple Sclerosis. From there she came to Brisbane with a 3-year postdoctoral fellowship from the University of Queensland to work with Prof. Ian Frazer and learn about chronic human papillomavirus infection and its capability to immune-suppression and transformational potential which can lead to cancerogenesis. Prof. Ian Frazer encouraged Janin in 2015 to apply for a scientist position in the DNA vaccine-developing company, where she is employed since. IHBI’s Infectious Disease Program now at QIMR Berghofer!! The infectious disease program is a collection of world-class microbiologists and immunologists at the Institute of Health & Biomedical Innovation (IHBI), QUT. Recently we relocated our research labs to QIMR Berghofer Medical Research Institute (QIMR-B) at Herston, right next door to many of our clinical collaborators at Royal Brisbane and Women’s Hospital. And yes we are still QUT, but get all the benefits of the fantastic facilities at QIMR-B. I thought I would use this opportunity to introduce the research groups within our program. CO-ADD - Do you have the next antibiotic? I was fortunate enough to drop in and visit the Institute for Molecular Bioscience at UQ this week and discovered some amazing work being done to combat antimicrobial resistance. I was immediately won over by an entrance door in the foyer that went *swish* and the availability of real coffee IN. THE. BUILDING. Not to mention the seemingly constant science chatter everywhere – while I nervously lurked around the café after arriving I heard talk of CRISPR-Cas9 and compound isolations. My idea of heaven (okay, yes I’m a nerd).